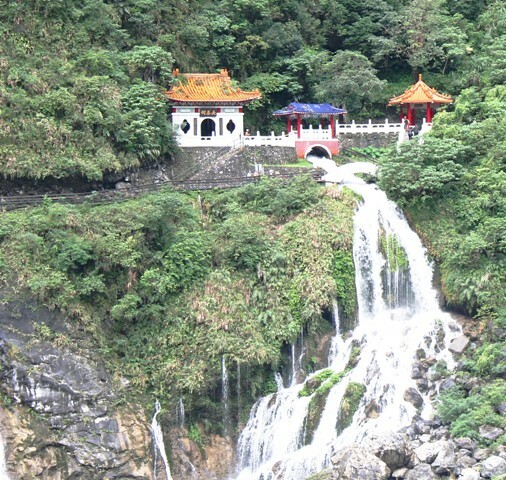 Taiwan nabbed a spot on Lonely Planet’s 2012 list of top ten destinations. After almost three weeks exploring this tiny island nation, I can assure you it deserves the recognition. 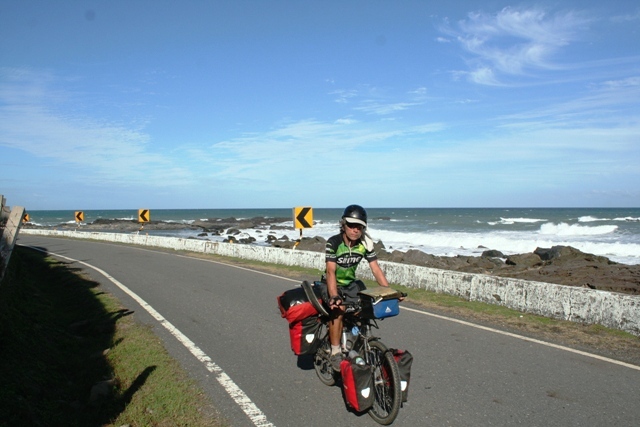 The Taiwanese are embracing bicycle touring like no other nation in Asia, and that’s one reason it earned a coveted spot on LP’s top ten list. Even before we set foot in Taiwan, I realized what an honored spot cycle tourists occupy in Taiwanese society. Tawian’s love affair with bicycles, and those brave enough to do the pedaling, was evident from the moment we entered the terminal in Xiamen (on the mainland) where we were to board the ferry to Taichung (in Taiwan). The place was a madhouse of tour groups in funny hats queuing up to board the boat. Our bicycles were our ticket to first class service and we were whisked to the font of the line to board the ship first. The crew bustled around stowing our bikes and bags, then lead us up to a comfy cabin complete with dazzling lilly- white bed sheets and a fluffy pillow. After setting sail, I wandered around the ship and discovered not only karaoke and a dining room, but a sauna and Japanese-style bath house. 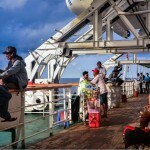 Now when I first envisioned an overnight ferry, I’d imagined rolling out my sleeping bag on some filthy and cramped deck surrounded by a couple hundred Chinese men on little bamboo mats who would all be smoking like chimneys while simultaneously snoring, spitting, farting , belching and/or puking if the seas were rough. I‘d conjured up images of overflowing toilets and a boat laden with everything from rooting pigs and clucking chickens to crates of rotting fruit and giant satellite dishes. Reality was something more like the Love Boat. It was a very civilized crossing made complete by a free breakfast served just after sunrise. When the ship pulled into port, a sailor dressed in a starched uniform ushered us off first like true dignitaries and lead us quickly through the efficient immigration procedures. I was pleasantly surprised and already loving Taiwan although I’d yet to pedal a single stroke. These guys came all theway from Malaysia for a tour around Taiwan...probably read the Lonely Planet article, too. 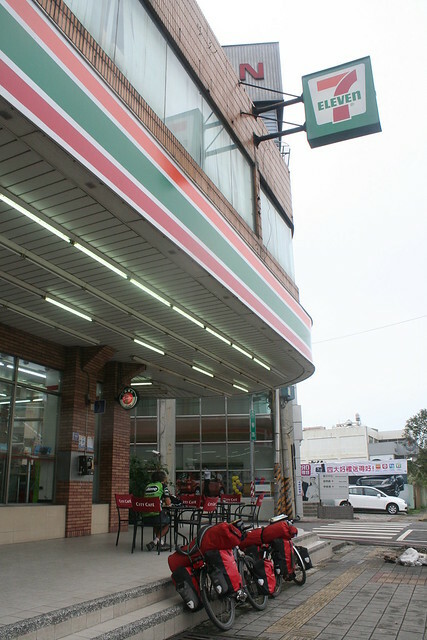 Taiwan’s love affair with bicycle touring was evident from the very first 7-11 convenience store we wandered into. 7-11? Yes, 7-11. There are 4,790 of them in Taiwan and I pop in to several each day just to take advantage of the super clean restroom facilities. Not only can you take a pee, you can also amble over to 7-11’s special cycle service stations to pump up your bike tires, check out bike route maps or borrow tool kits to tinker with your machine. My favorite spot for a break in Taiwan. 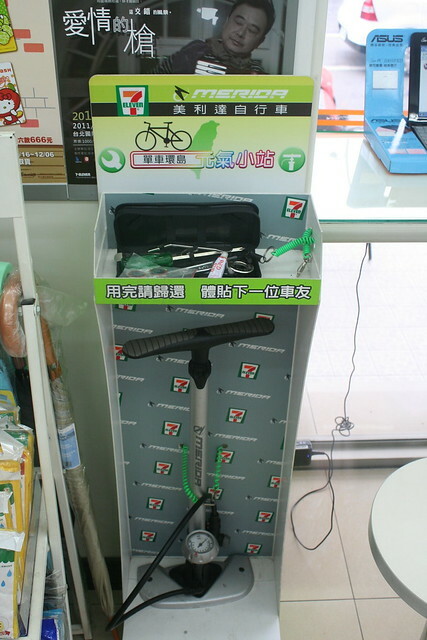 Thank you 7-11 for making life easier for cyclists all over Taiwan. Designated Police Stations all over the country are festooned with Bike Stage signs. These are spots where you can fill up your water bottles, get first aid and even camp for the night. Along the coast, spots are designated as special bike rest stops where you can take a break and even pitch the tent for the night. 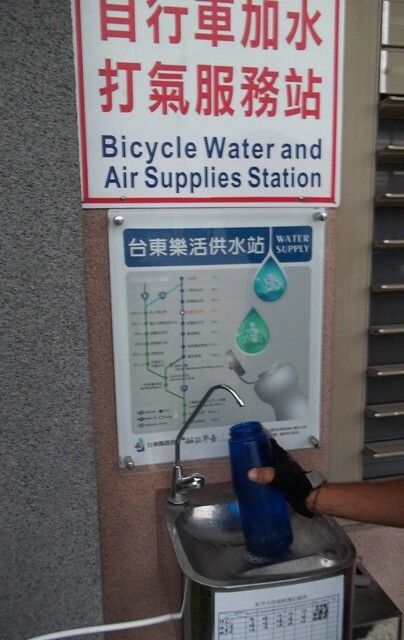 Police stations all over Taiwan offer water to thirsty cyclists. Not that finding a safe place to sleep is ever a problem in Taiwan. On one of our very first nights in the country, we got hopelessly lost in the tangle of super highways that is Greater Tapei. Night was falling, but no worries. Temples dot the entire country and the Buddhists don’t seem to have a problem with itinerant cyclists catching a little shut eye in their sacred places. No temples around the bend? Try a school or the fire station, you’ll surely be welcomed warmly. 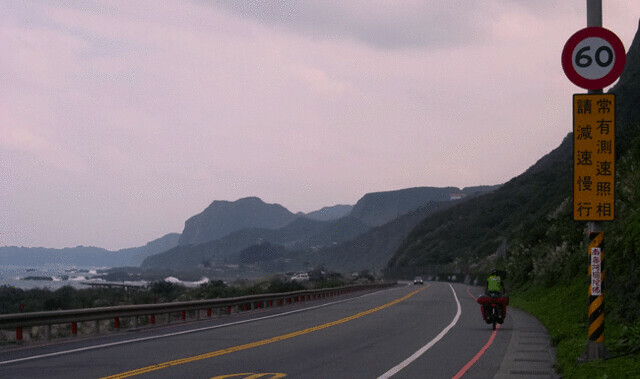 Biking Taiwan means you’ll be sharing the road with plenty of two-wheeled Taiwanese out exploring their island. Most are loaded with nothing more than a couple of scrawny saddle bags holding a change of clothes, a few snacks and perhaps a puncture repair kit. Their jaws drop in absolute awe and bewilderment when they see how much stuff we carry. Applause and arm pumps throughout the day keep us thoroughly motivated as do the shouts of “Jia yo” which I’m told is the Chinese equivalent of Go, go, go! 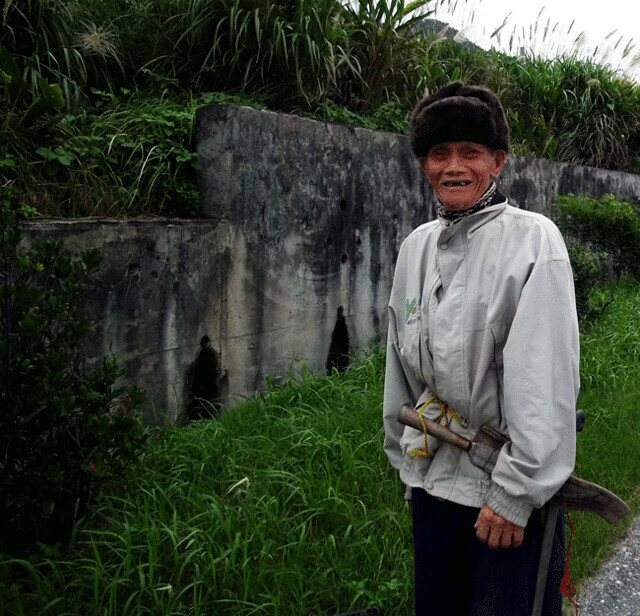 Even this old guy gave me a big smile as we pedaled by. It’s not just friendly people and great cycling infrastructure that make Taiwan such a fun country to bike in. The island may be small, stretching to about 390km in length and 140km wide at its broadest point, but there’s an amazing variety of scenery and even climate zones. The east coast is lined with cliffs that literally drop off into the ocean. Road crews are constantly out fixing highways that threaten to slide into the Pacific. 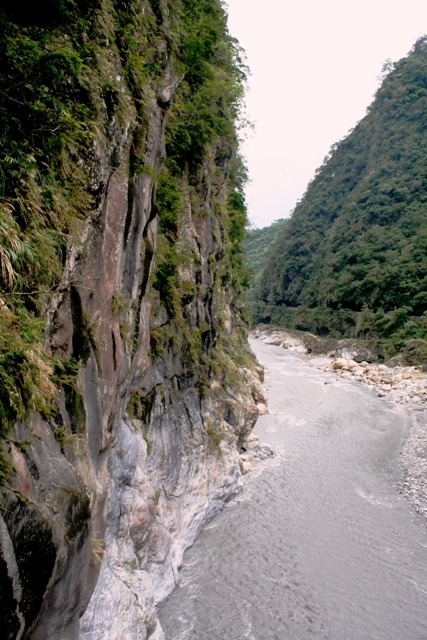 Where there is no way around the mountain, the Taiwanese have tunneled through the mountain. Scary at times, but we got used to tunnel riding after we knocked back the first dozen or so. It takes a while to get used to all the tunnel cycling in Taiwan. 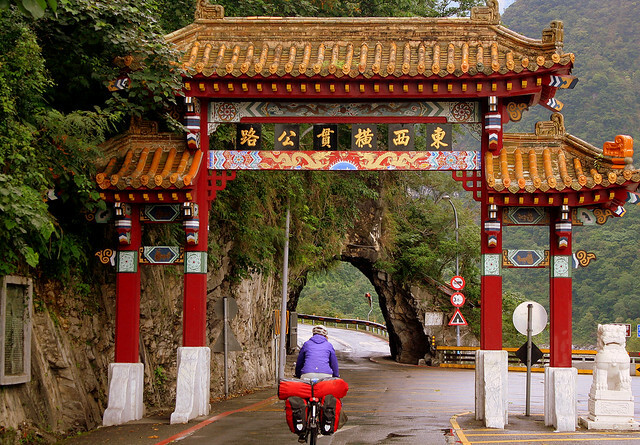 Taroko Gorge is Taiwan’s biggest tourist draw and despite sharing the place with the crowds, we didn’t want to miss it. Taroko means “magnificent and splendid” in the local aboriginal language and magnificent and splendid this steep marble canyon truly is. The narrow gorge cut into the highly resistant marble. Our Taiwan tour was all about crashing waves and rocky beaches, beautiful temples tucked away on steep mountainsides and thick tropical forests once we headed inland. It’s been a relaxing few weeks. More like a cycling holiday than a hard-core tour. Just what I needed to re-energize before we sail back to China for another round of insane cycling on the Mainland. I don’t agree with everything Lonely Planet spins, but they were spot on with Taiwan. It does deserve a place in the top 10. Check out our Practical Guide to Cycling Taiwan. See Photos from our Taiwan tour on FLICKR. Anybody else cycled Taiwan? Think you might make a side-trip from the Mainland now that there’s regular ferry service? I see a no bikes sign at the entrance to that tunnel, unenforced, or do you have to push along the side? Just have to forge on ahead through those tunnels! And yes, Taiwan was lovely… even more so thinking back on it from the Mainland. I am Taiwanese and love biking too. It’s OK to bike through the tunnels, and that is somewhat exciting :). Actually, the sign at the entrance says that “no biking on the sidewalk”. The sidewalk along the tunnel is very very narrow (as shown in the photo), therefore it will be more dangerous to ride on it. Glad we weren’t breaking any laws after all! So are you going to settle in taiwan? i’ll come visit you! sounds like paradise! 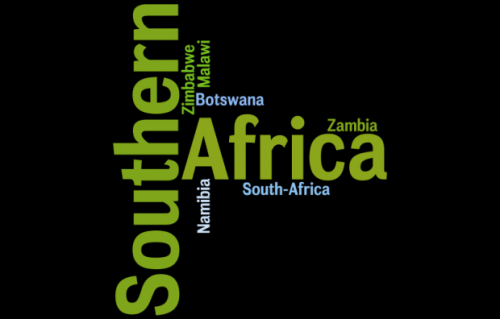 Nope, not nearly ready to settle down..still got 100+ countries to knock off the list. We would like to post this news in our magazine in Chinese, which will be published in Taiwan,China, and Hongkong. Could you authorize us for translate this into Chinese and put in our magazine? Please please contact me by email when you see this message. Thank you very much for your sharing and nice words of your journey in Taiwan. Feel free to share this information and spread the word about beautiful Taiwan. Just curious, what’s the magazine? -10.I think the coldest has been maybe -22. A little snow not enough to board or ski. It is very homey here in the winter and can be fun if the weather cooperates with a few flurries.Thanks for inspiring us . Thank you very much for you answer mail. I’ve reply you by mail about our magazine and ask if you could also provide several photos go with the article. I hope you’ve got the mail. And thank you so much for your kind help. I agree, I declare taiwan to be cycling nirvana! I toured in april 2011 and it was so nice I returned again in August 2011! But the best part is the mountains. 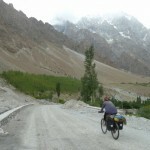 Great scenery everywhere, well maintained roads and not much traffic even. You dont need to read chineese to navigate as the road route numbering system is well signed and logical. You can usually find good (chineese) hotel accomodation for about $US20 per night – i did not camp at all! Many younger people have some understanding of english and everyone is helpful beyond expectation. I will certainly tour there again! The only slight problem is the last 3Km of road to Taoyuan airport is a freeway and the police were unimpressed when I rode that section to the terminal door! 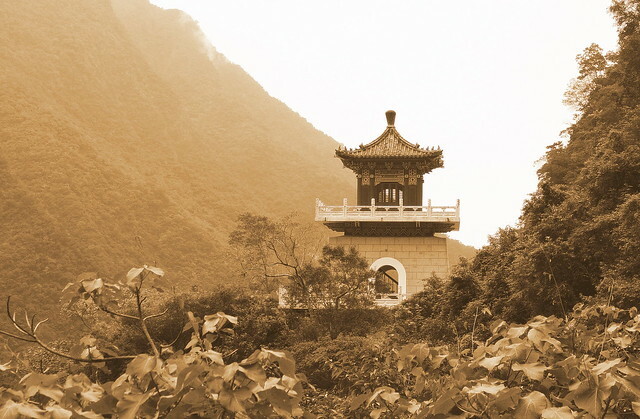 we are in China at the moment (Anhui Province) but planning to go to Taiwan in mid December. Thanks for all this information which is very useful. We wondered how you went from China to Taiwan and then back to China – did you have a double-entry Chinese visa? where did you get it? 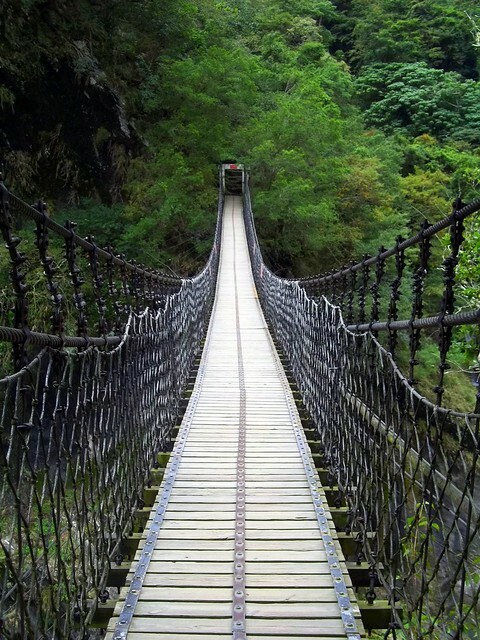 You’ll love Taiwan–nice easy travel after the challenges of mainland China. We got a double entry visa in Hong Kong. Straightforward process, just had to provide lots of info (hotel reservations, detailed itinerary, proof of flight out of country, insurance info etc.) But I’m sure you have experience with that. Really can not recommend cycling on the eastern seaboard near Schenzhen if you are heading north for the ferry–was a minor nightmare for us–just too many people, factories and inexperienced drivers. thanks for your reply……useful to know that it’s possible to get a double entry visa….we got ours in Kyrgyzstan where I’m not sure you can. No, we won’t be on the eastern seaboard at all (have been to Guanzhou & Shenzen on a previous visit to China – not with bikes……I’m sure it was dreadful to cycle there). We are about to go through inland Fujian and then direct to Xiamen for the ferry. After Taiwan we’ll go to Okinawa islands (southern Japan). Enjoyed your latest blog – we know Bill Weir too and followed his route in China up the Nujiang Valley a few years ago…it was beautiful. Did you know he’s in SE Asia at the moment? We met him in southern Italy last year, a really nice man. Latest Location: Currently in France heading north to Norway. Need advice? Want to contribute to the A-Z project? 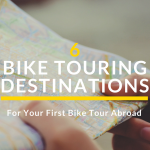 Interested in partnering to promote bicycle touring? Copyright © 2019 Worldbiking.info. Powered by WordPress. Theme: Spacious by ThemeGrill.